Podcast Motor is a complete podcasting production, editing, and publishing service for self funded businesses. Their service can save you time so you can focus on creating great podcasts that will move your business forward. Podcast Motor is doing a giveaway for a Rode Podcaster Microphone. The Free Rode Podcaster Microphone Giveaway has (at the time I am writing this blog) about 9 days and 15 hours to go before it ends. There is a handy countdown clock located next to the information about giveaway. The official end is on April 25, 2016 at 7:00 p.m. CDT. Prizes will be awarded on April 26, 2016, at 7:00 p.m. CDT. One winner will receive a brand new Rode Podcaster microphone. It has a $369 value and is described on the giveaway website as “the absolute best USB microphone on the market”. To enter the giveaway, you need to answer the (very simple) question that is on the giveaway website. There is a dropdown box with potential answers that you can choose from. After you select an answer, you will be asked to enter your email address. 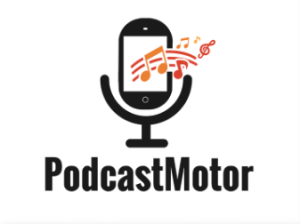 It appears that entering your email into the box, so that you can enter the contest, means that you are signing up for the Podcast Motor Newsletter. The official giveaway rules refer to this contest as a “sweepstakes”. The sweepstakes is open to all humans who are 21 or older at the time of entry. Residents of Taiwan, South Korea, Portugal, Italy, Austria, China, Russia, Hong Kong, Greece, France, Japan, Spain, and Czech Republic are not eligible to enter or to win. You can get an additional entry if you send a friend who is 21 or older the sweepstakes page. That friend has to enter the giveaway in order for you to earn an additional entry. The odds of winning depend on the number of eligible entries received during the sweepstakes period.